The Ingelfingen-based fluidics expert Bürkert offers an extensive line of safety shut-off valves for oil burners. 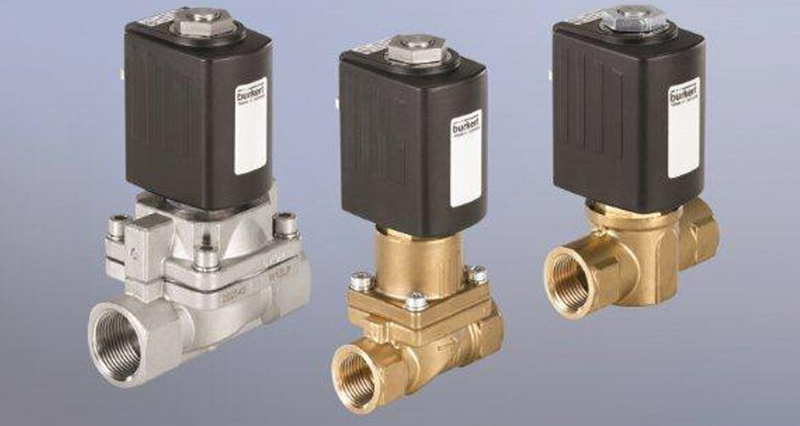 The low-maintenance solenoid valves are available in a full range of diameters and with high-resistance seals. Solenoid valves are an important component of the oil burner control loops. The valves were designed with stringent requirements for quality, functional reliability and service life in mind, to ensure trouble-free operation and also low-maintenance operation. Bürkert has developed an extremely well-balanced product portfolio for the different performance classes and types of oil burners. In addition to the different applications as shut-off, forward flow, return flow and circulation valves, the full range of diameters and the use of sealing materials with high thermal and chemical resistance to media open up a broad spectrum of applications for Types 5406, 5407, 6027 and 6213. The bodies are manufactured from brass or stainless steel, depending on the type and size. A universal top-mounted coil system with protection type IP65, as well as optimised and adapted voltage ranges make this extensive line of safety shut-off valves for oil burners cost-effective due to low inventory requirements and a high service level. The solenoid valves are TÜV-certified in accordance with DIN EN ISO 23553-1 and have been certified by DIN CERTCO.